At Complete Laser Care we are committed to protecting and respecting your privacy. It is important to obtain, use and store information about you and your medical history to provide you with the proper treatments suitable to you to reduce risk of injury or damage to your health. This information determines whether you may or may not be suitable for specific treatments /products. We would like to send you information about products and services which may be of interest to you & special offers. We will ask for your consent to receive marketing information. 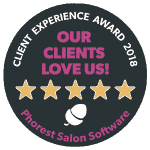 We use Phorest Salon Software which is GDPR Compliant. Unless you request otherwise, we will contact you no more than 5 times per year for a maximum of 2 years from your last visit to the Clinic. After a year we will archive all your personal information, except for your name, relevant client history (e.g. allergy test records which we keep for 4 years) and financial transactions (which we are obliged to keep for 6 years). We will always ask for your consent to hold personal information and medical details for the purpose of your treatments with us. Your information is stored on secure servers provided by Phorest Salon Software, Microsoft. Any payment transactions are encrypted. Sending information via the internet is not completely secure, although we will do our best to protect your information and prevent unauthorised access. From time to time with only your permission, we like to use some images for social media where consent will be requested in advance. We use Google Analytics to track our website visitors, their demographics and their behaviour on the site. Google Analytics is fully GDPR compliant.